“St. Mary’s Medical Center offers the highest quality medical services in the region. We are the oldest and largest Medical Center in a 250-mile radius and offer a full range of medical and surgical services. This includes the most advanced Cancer Research Center for which we are nationally acclaimed. We also offer the most advanced Women and Children Services, Orthopedics, a Certified Stroke Center, Cardiology, CareFlight and much more. We are the largest investor in medical infrastructure in the region employing over 2,000 associates, and the largest payroll contributor in Mesa County. We offer 346 licensed beds, the highest Trauma Care and the largest and most experienced medical staff. How long have you been doing business in the Grand Valley region and what brought you here in the first place? St. Mary’s was founded in 1986. That makes us 120 years old. We were founded by the Sisters of Charity of Levenworth as a mission outreach to impoverished communities. We are still a part of SCL Health and governed by a local Board of Directors. What is your favorite part about living and working in the GrandValley? I am a Colorado native so my family and I enjoy everything about the outdoors and the healthy lifestyle of our state. My wife Amy and I could not think of a better place to raise our two boys than the Grand Valley. Why is Colorado’s Grand Valley a good place for your business? 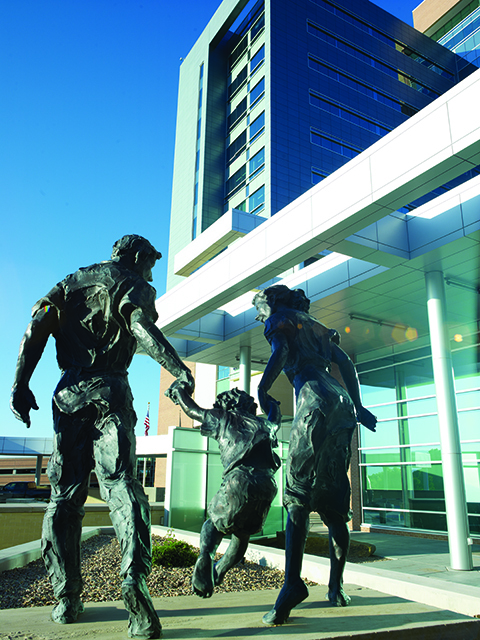 The collaborative nature of the Grand Valley has resulted in one of the finest healthcare ethos imaginable for a town our size. We consistently refer to the extraordinary level of care as part of our economic development outreach, and we are easily able to attract and retain top level medical staff because of our lifestyle here. Why does your company choose to invest in GJEP? Visit GJEP’s healthcare & medical devices page to learn more about this key industry for Colorado’s Grand Valley.